As we know that IBPS Clerk exams are coming near, all candidates must be nervous for the exams. So it is high time that you prepare yourself for the exam. IBPS Clerk exam is one of the most awaited exams. You were waiting very eagerly for this day from the day you started your preparations. All the banking aspirants must cross this stage in order to land up in their dream job. Attending exams makes the candidates nervous. It is very important that you should overcome your nervousness regarding the exam. 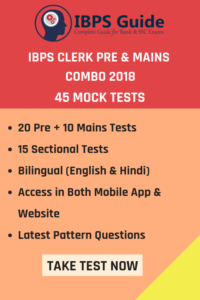 So, let us see some of the tips that will help you to crack IBPS Clerk exam in the first attempt. It is one of the main strategies to achieve your goal. All aspirants want a secure job like government bank job. So, they are practicing very hard for IBPS Clerk exam. Apart from practice, you need to perform smart work such as managing time in an effective manner. So, here we will focus on various time management tips for IBPS Clerk exam. These tips will support you in scoring high marks at your exam. Follow this strategy to score well in the IBPS Clerk exam. Let us have a glance at the tips. As you know that the exam comprises of 3 subjects in the IBPS Clerk prelims exam. So, please go through the exam pattern very carefully. Know how many questions will be asked in each section. Divide the time effectively for each section so that you can finish the paper in time. Deal your time in an effective way so that you can figure out most suitable tactics to answer the paper. Please note that there is negative marking of 0.25 marks for each wrong answer. So, perform section-wise time management strategies for IBPS clerk exam. There are a total of 35 questions in the reasoning section. This section comprises of problematic questions. So, it will consume more time than other sections. Try not to spend more than 20 minutes time on this section. There are a total of 35 questions in the quantitative aptitude section. This section is considered as the most difficult section. So, make sure that you do not spend more than 25 minutes time on this section. Make sure that you practice this section in an effective manner. As you know that English section checks your Grammar, Basic English Language, Vocabulary and Comprehension. Try to complete this section in less than 20 minutes to score well in this section. These tips will be very effective to attempt the IBPS Clerk exam. So, to attain good grades in the exam, please follow these tips and prepare hard for the exam. If you get stuck over any question, do not spend more time on that. Leave it and move on. 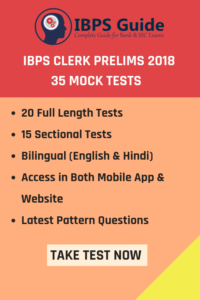 We hope our Time Management strategies tips and tricks for IBPS bank clerk exam will definitely help you in the upcoming IBPS bank clerk exam 2018.